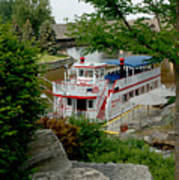 The Frankenmuth Michigan Bavarian Belle riverboat, an authentic Stern Driven Paddlewheel riverboat. 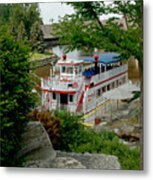 It offers a 1-hour historical narrated tour of the Frankenmuth area on a fully restored 150-passenger vessel. The Bavarian Belle is open air canopied on the upper deck and has a fully enclosed lower salon with restrooms. It offers a snack bar and soft drinks on board. The Bavarian Belle is located in the River Place Shopping village, docking at the waterfall. Bavarian Belle Rocks Cruise down the Cass River in Frankenmuth on the Bavarian Belle steamer. 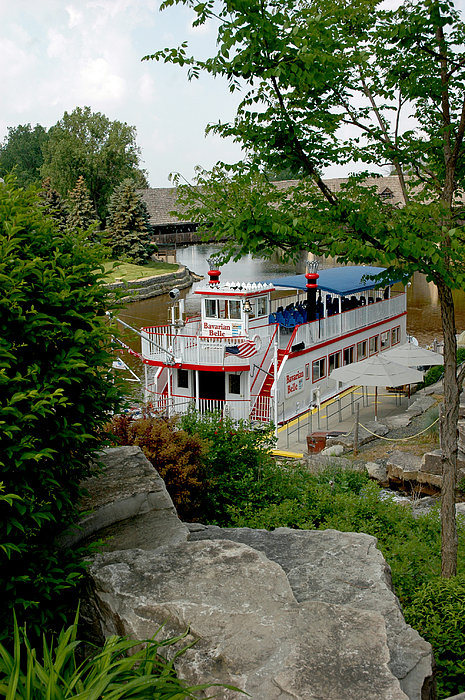 The Frankenmuth Michigan Bavarian Belle riverboat, an authentic Stern Driven Paddlewheel riverboat. It offers a 1-hour historical narrated tour of the Frankenmuth area on a fully restored 150-passenger vessel. The Bavarian Belle is open air canopied on the upper deck and has a fully enclosed lower salon with restrooms. It offers a snack bar and soft drinks on board. The Bavarian Belle is located in the River Place Shopping village, docking at the waterfall.